There are so many Lilly outfits that I just adore. 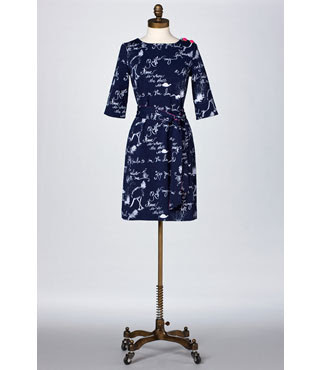 I love this Jonah Dress, especially with the adorable pink buttons on the shoulder. What a great finishing touch. I love both the Stephanie Shift dresses, I can't decide which I like better, the printed or the engineered. The engineered one would look adorable with a bright pink cardigan in my opinion, what do you think? 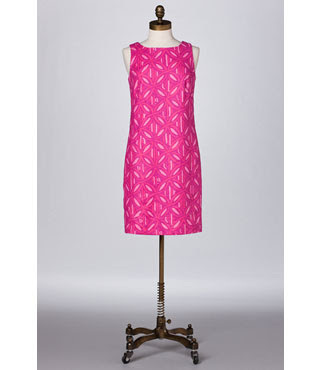 The pink would look great in fall/winter with a navy cardigan and McKims. 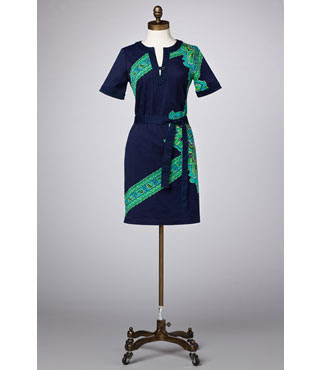 I also love this Marcella Tunic dress, the colors are just so bright! I think it would look nice paired with the Riley Colorblocked Cardigan on a cooler day. Thoughts? Of course, everyone needs a Cocktail dress. This one comes in several different patterns, but this one is my particular favorite. 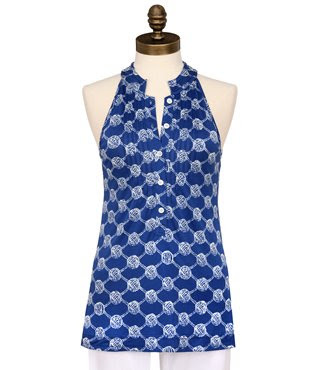 Can be paired with a white cardigan for this late summer, or navy for the coming fall. 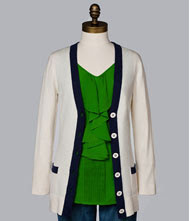 Of course, there's the kelly green sweater - love the pink and green! 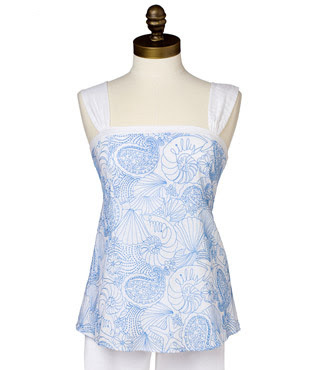 This Meri Embroidered Top is just so pretty, I love the possibilites with this number. Casual with jean capris or dressed up with white capris, or even further with a long pair of flowing pants. Would look great, again, with that navy cardigan that keeps popping up. Then it can be continued through winter. Everyone needs a little pick-me-up in winter! The Wenlan Printed top, I just love this particular pattern, though it does come in one other pattern I love the possibilities of pairing this as well, there are just so many options! I've never worn a collar with sloped sleeves like this before, I hope it looks good! Last but not least, I think this is my favorite as of right now, I don't know, I love them all! 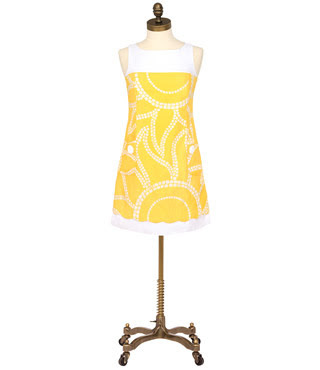 The Sunny Shift Cotton Poplin dress. It's just so...well, sunny! Just like everything else in the Lilly wardrobe, imagine this by itself, or paired with a navy cardigan and navy McKims, or pink, or green. 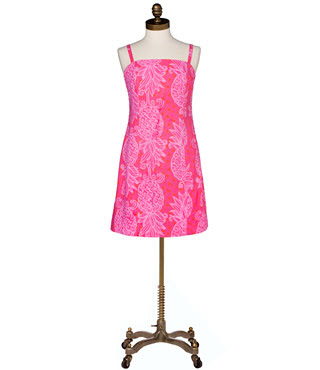 All of Lilly Pulitzer's fashions are so versatile! I love them all! So there you have it! Those are my favorites as of right now. Of course, I'm going to have to pair this down quite a bit, or start some fierce nagging on the Hubby! ;-) Wishful thinking!! Great picks! I love all these pops of color.